It is always a good idea to learn as many new techniques as possible to help flesh out your CG scenes. In this tutorial, you will learn how to create an impressive breaking glass effect using 3ds Max 2009 and Thinking Particles 3. 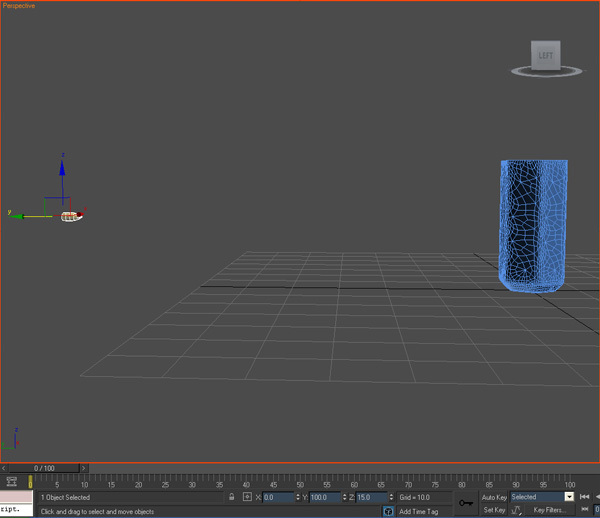 Thinking Particles 3 is an advanced rule-based particle system for 3dsmax and Cinema4D, and if you are not familiar with it, we recommend that you follow some basic TP3 tutorials to understand how this awesome plug-in works. 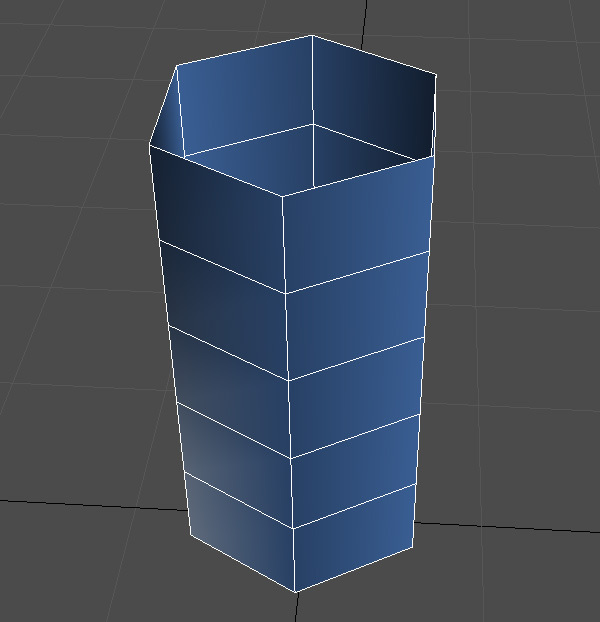 Create a Cylinder and change the name to "Glass". Set the "Radius" to '7', the "Height" to '30', and the "Sides" to '6'. Move the cylinder to the coordinates: x = 0, y = 0, and z = 2. 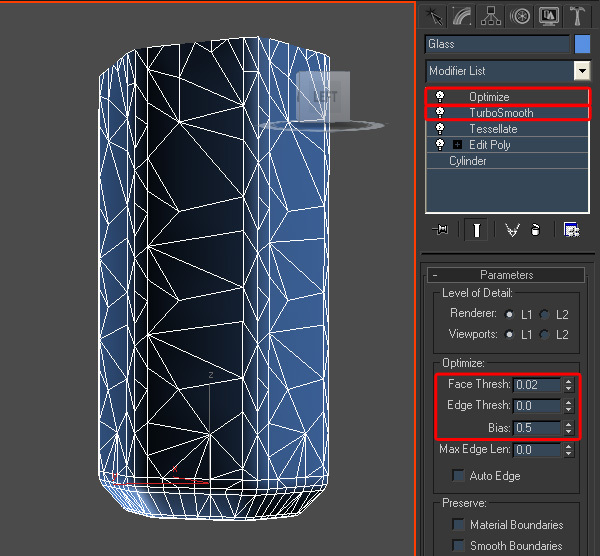 Add an "Edit poly" modifier. Click the "Polygon Selection" icon, and select the bottom polygon. 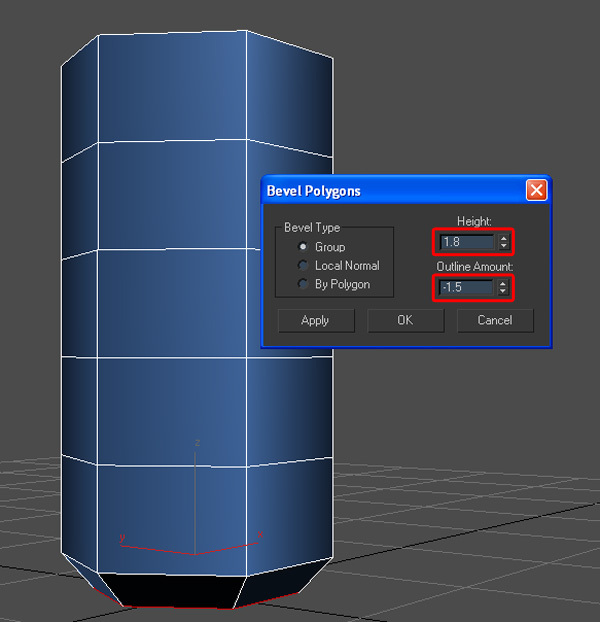 In the "Edit Polygons" rollout, click the "Bevel Settings" button. 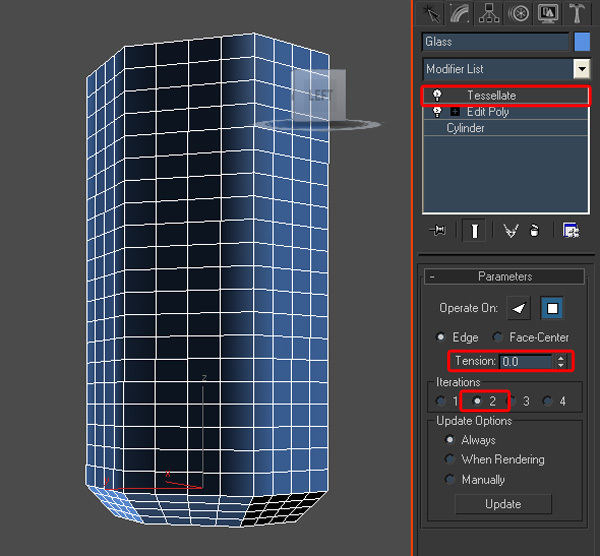 Set the "Height" value to '1.8' and the "Outline Amount" value to '-1.5'. 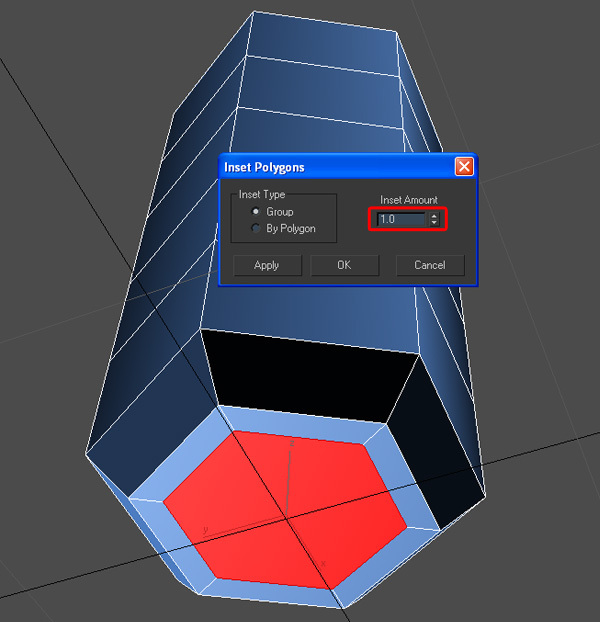 Press OK.
With the bottom polygon selected, click the "Inset Settings" button, and set the "Inset Amount" to '1'. Press Ok. Select the top polygon and delete it. 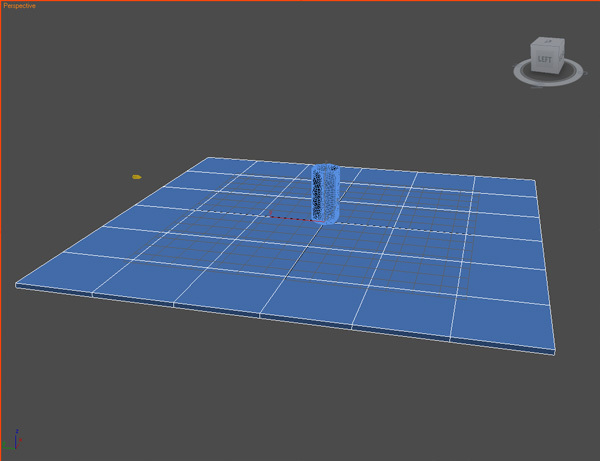 Add a "Tessellate" modifier. Set the "Tension" value to '0.0' and the "Iterations" to '2'. 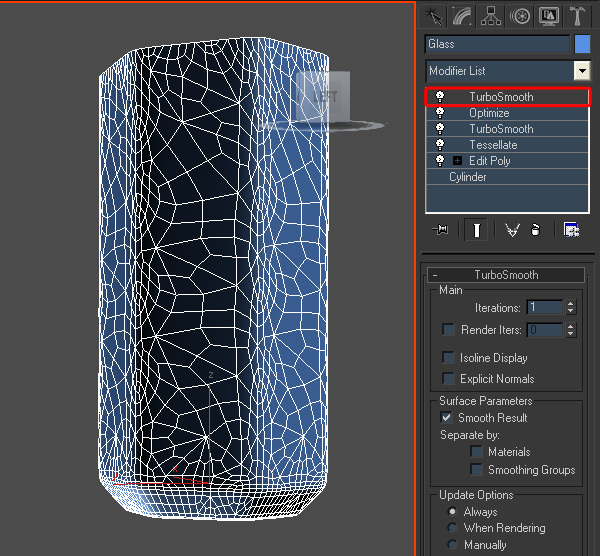 Add a "TurboSmooth" modifier. After that, add an "Optimize" modifier. 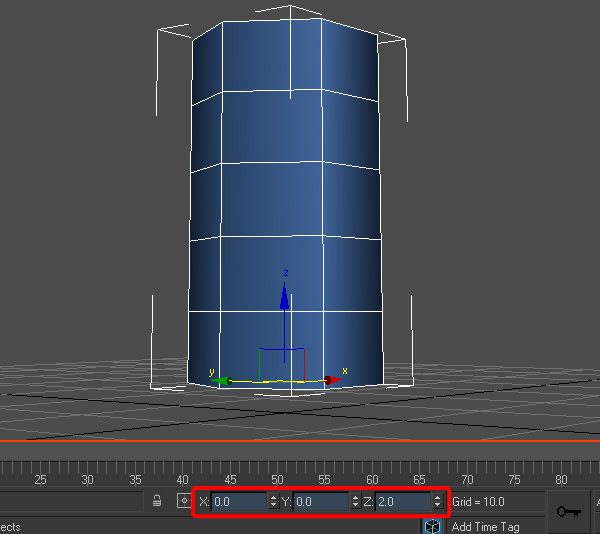 Set the "Face Threshold" value to '0.02', the "Edge Threshold" value to '0', and the "Bias" value to '0.5'. Finally, add a "TurboSmooth" modifier again. 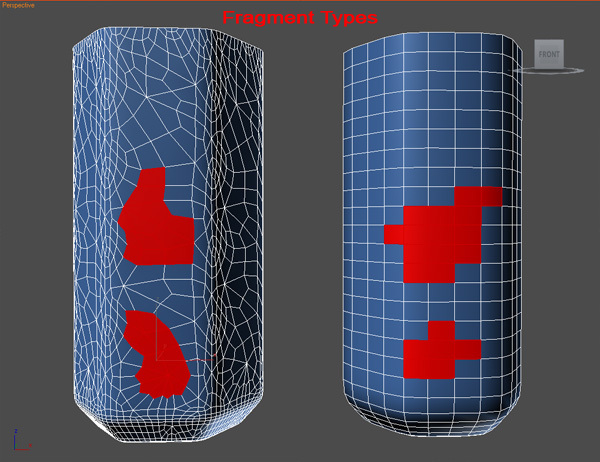 ThinkingParticles 3 creates fragments based on surface edges. The idea is to create glass with random edges, but with a smooth surface. You can see a few examples in the screenshot below. 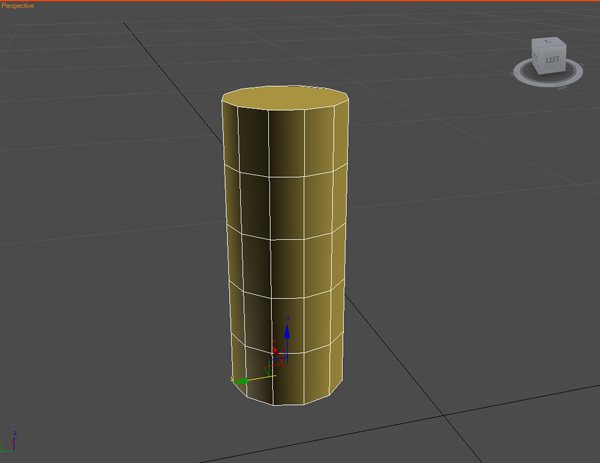 Create another Cylinder, and change the name to "Bullet". 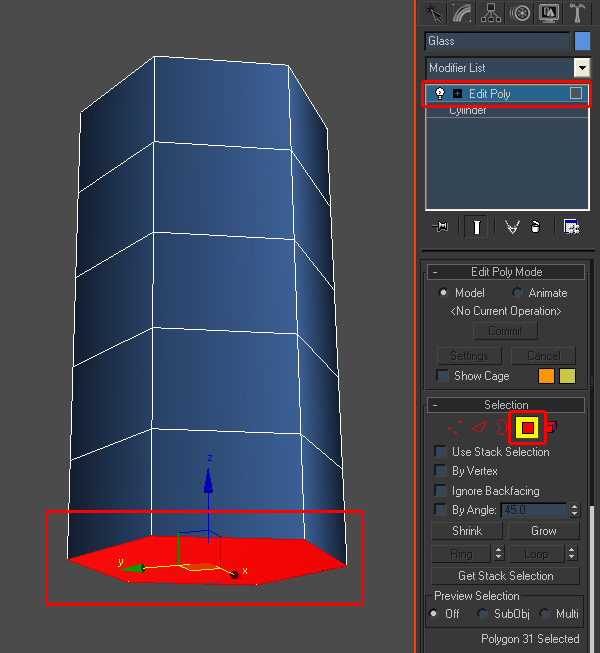 Set the "Radius" to '1', the "Height" to '5', and the "Sides" to '12'. 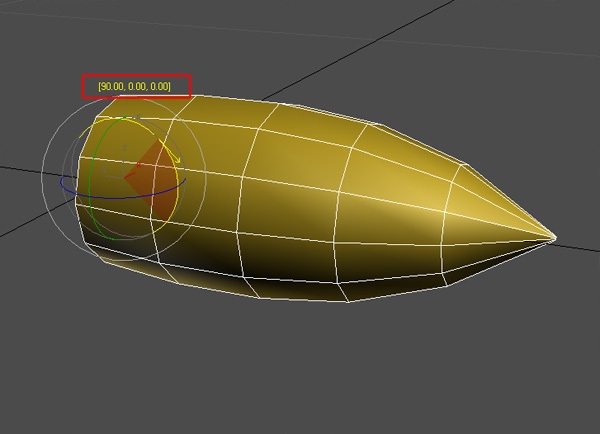 Press the 'A' key on the keyboard, to turn on "Angle Snaps", and rotate the "Bullet" by '90' degrees on the 'x' axis. Move the "Bullet" to the coordinates: x = 0, y = 100, and z = 15. 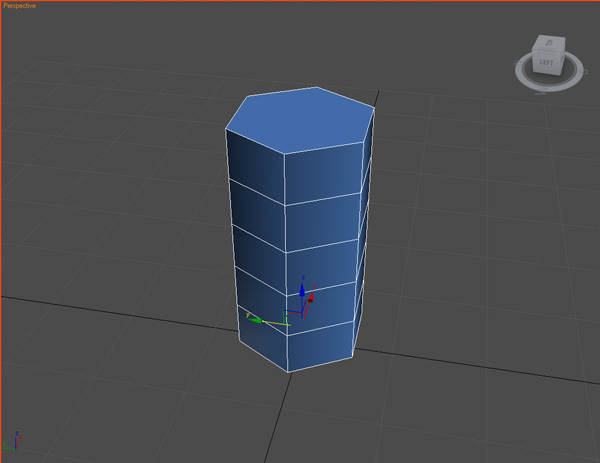 Create a box for the ground, set the "Height" to '-2', and add more segments. 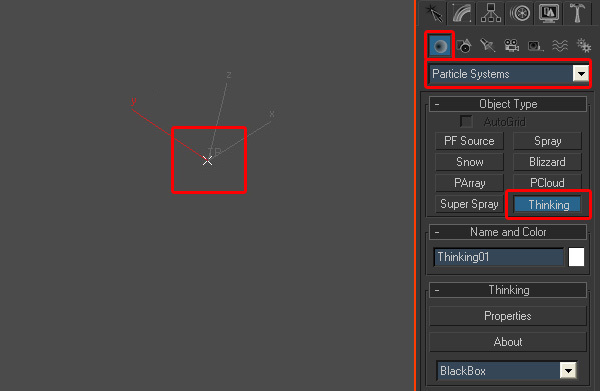 Go to "Command panel > Create > Particle Systems > Thinking", and place a "ThinkingParticles 3" icon in the Viewport. Go to the "Modify" panel, and click "Properties" in the "Thinking" rollout (you can also use 'Alt + Shift + P' to open, and 'Alt + Shift + C' to close the "ThinkingParticles 3" user interface). 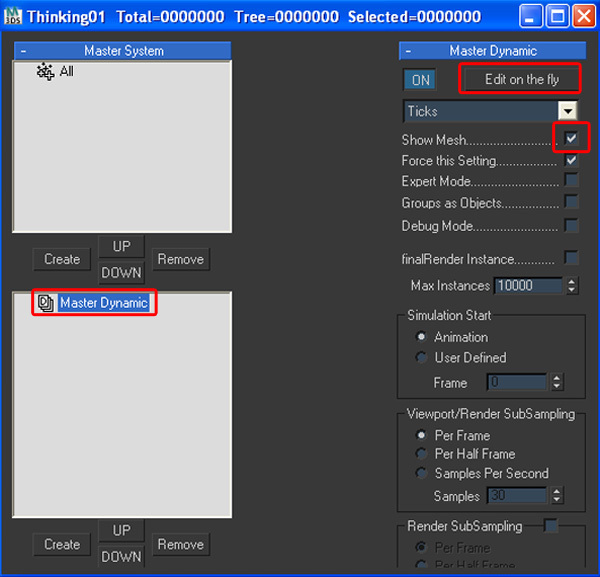 In the "DynamicSet Tree" view, select "Master Dynamic". Disable "Edit on the fly" to see the changes in real time. 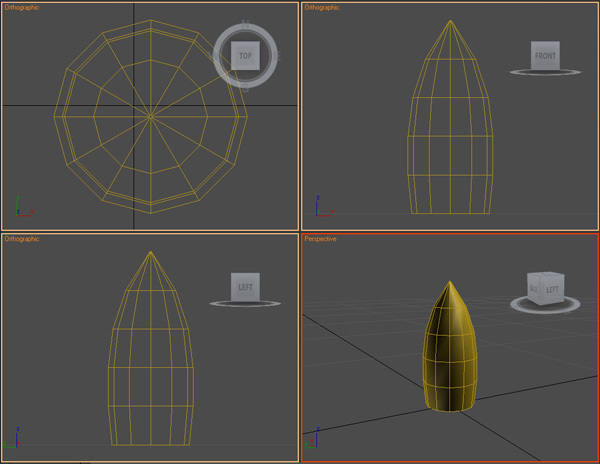 Enable "Show Mesh" to see the particle shape. 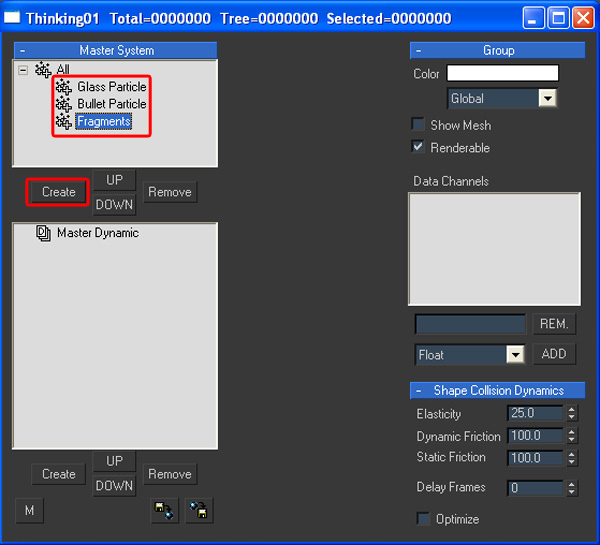 In the "Particle Group Tree" view, click the "Create" button, under "Master System". Name the group "Glass Particle", by clicking on the name "Group" twice (slowly). Create two other groups. Name the first group "Bullet Particle", and the second group "Fragments". 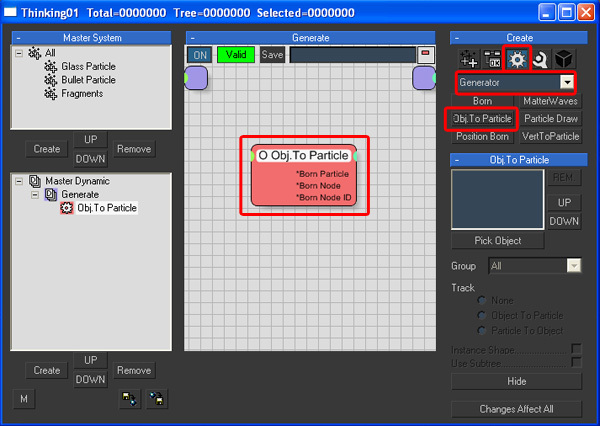 Now you need to create a "Dynamic Set" to dictate what the particles do. In the "DynamicSet Tree" view, click the "Create" button, under "Master Dynamic", and name the new Dynamic Set "Generate". Highlight the "Generate" "DynamicSet", and then go to the right-hand side of the dialog, where you will see a new set of "Create" rollouts. Select the "Operators" icon, and then choose "Generator" from the drop down list. Select the "Obj. to Particle" node, to highlight it, then click in the schematic portion of the "Wire Setup" view, and add this node to your "DynamicSet". In the "Obj. to Particle" rollout (on the right portion that appears), click the "Pick Object" button, and select the "Glass" object in the viewport. 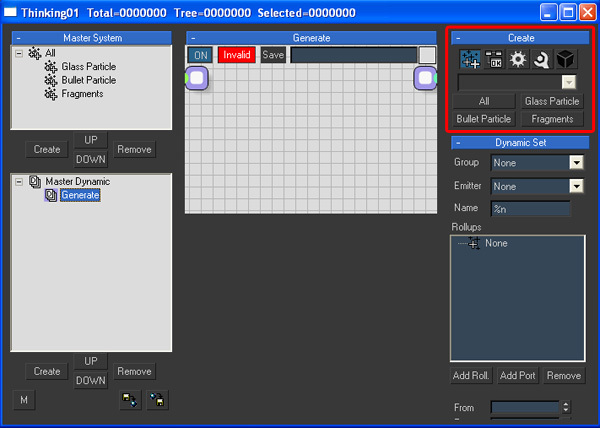 From the drop down menu, select "Glass Particle" as your "Group", and enable "Instance Shape". Click the "Pick Object" button again, and select "Bullet". Then select "Bullet Particle" as your "Group", and enable "Instance Shape". The "Obj. to Particle" operator, turned the "Glass" and the "Bullet" into particles, so you can hide them now. Good job and good article. Thanks for sharing this useful information! How to make skin smoothly, an keep more details? Any way to change default position of canvas in workspace?